John Davis was born in 1823 in Liverpool, England. He married Mary Molineau who was born in Ireland in 1825. John and Mary were living in the city of Chicago in 1855 at 6 White Street. John died 24 Jan 1869 and is buried in Rosehill Cemetery and Mary died around 1863 and is reported to be buried in Old Catholic Cemetery. For further details, contact the Chicago Genealogical Society. 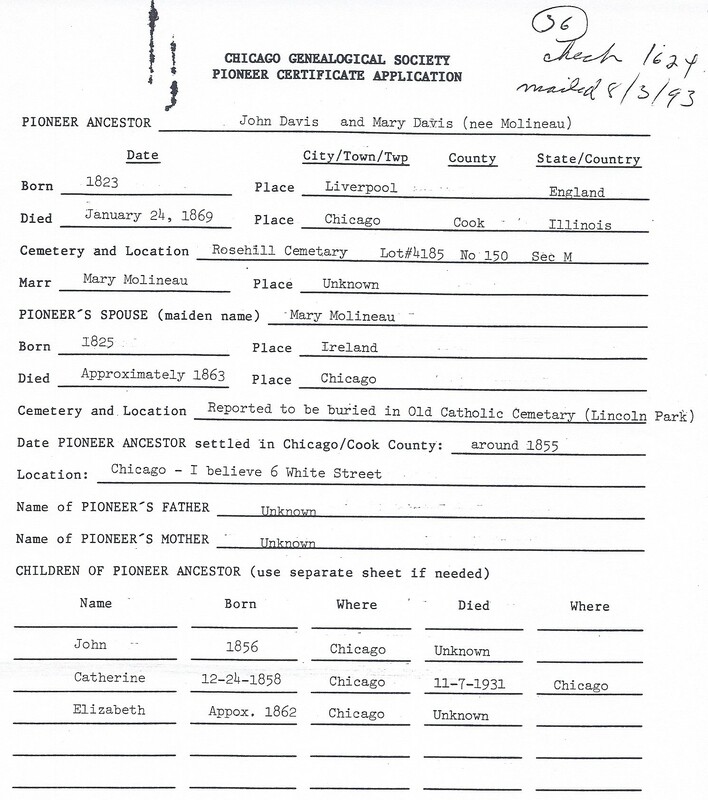 John is Pioneer Ancestor number 36.